 As part of our ongoing commitment to provide students with the best educational resources, IFREC now offers a computer-based exam simulator for students preparing for any one of the state-approved certification exams for Florida home inspectors. Unlimited Access. Unlike some programs, once you have purchased the IFREC Home Inspectors Exam Simulator, you may use the version you buy for as long as you like. It never expires. Flash Cards and Practice Exams. Use the approach that works best for you. Study with Flash Cards if you want to answer a question and immediately see whether your response was correct. Study with Practice Exams to have the “exam experience” of seeing the correct answer only at the end of your session. Adaptive Learning Technology. As you answer questions, the program keeps track of the questions you’ve answered correctly and the questions you’ve answered incorrectly. Each time it creates new exams and flash card sessions, it focuses on the questions that it identifies as your weakest areas. Multiple Exam Formats. 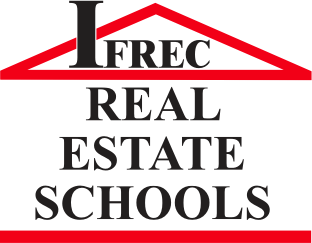 The IFREC Home Inspectors Exam Simulator helps you prepare for each of the three certification exams approved by the State of Florida. You can set your practice exams and flash card quizzes to use the form for the 3 approved exams: National Home Inspector Examination (NHIE), Florida Association of Building Inspectors (FABI) and theInterNACHI Florida Home Inspector Licensing Examination. Florida Statutes Excerpts. For easy reference, the IFREC Home Inspectors Exam Simulator also includes the text of selected excerpts from Florida Statutes (FS 468.83 – 468.8325) and the Florida Administrative Code (Chapter 61-30). I have a laptop computer for work and a desktop computer at home. How many times can I install the program? The program may be installed on one computer. What types of questions are included in the IFREC Home Inspectors Exam Simulator? All of the questions in the current version of the exam simulator are multiple choice or true/false. What topics are covered in the IFREC Home Inspectors Exam Simulator? What are the system requirements for the program? The current version of the program is designed for the Microsoft Windows operating system. Special Note For Tablet Users: If you are using a tablet device with a Microsoft Windows operating system, make sure that that version of the operating system supports the installation of standalone programs that are not purchased through the App Store. Is this an “online” program or is it installed on my computer? Although the program is downloaded from our web site and must be activated via the internet before it can be used on a computer, once it is installed you do not need to have an active internet connection in order to use it. It’s the perfect approach for studying when you’re out of the office and on the go.